One in a million, Wanna One, made a hit in Korea after the survival show. The 11 members boy group had a unique aspect to the Hallyu wave, no doubt being one of the most popular groups in Korea now. 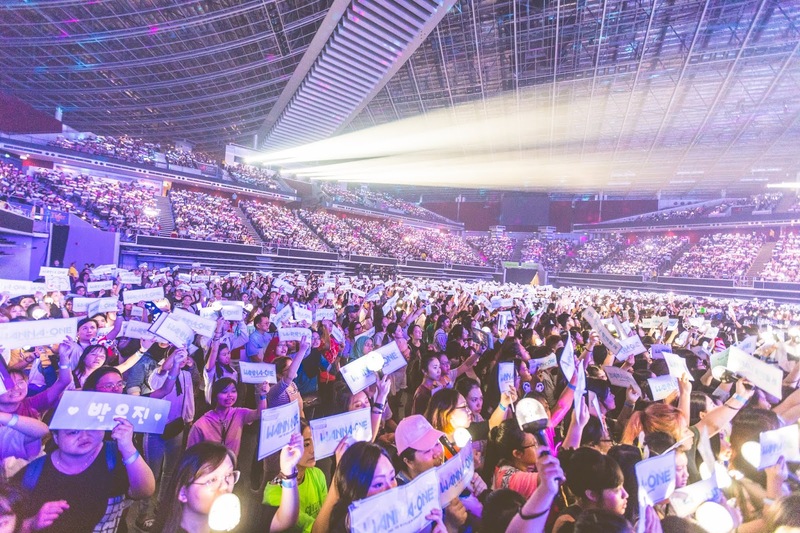 Last year, they successfully held a sold-out fan meet in Singapore. 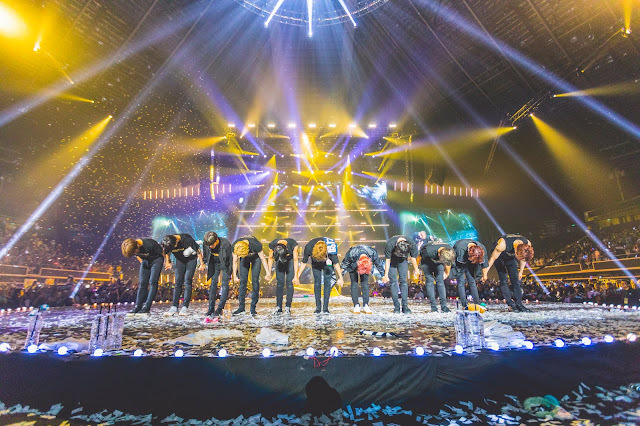 This time round, they came back with a full-fledged concert held at Singapore Indoor Stadium. 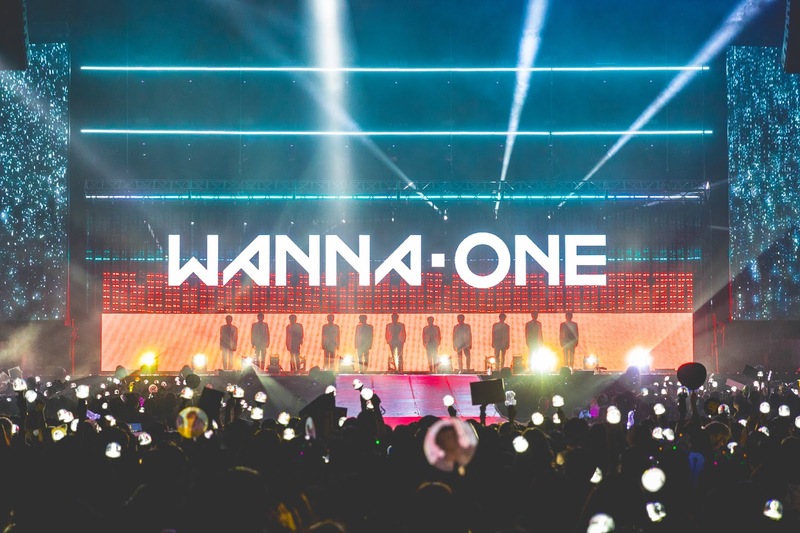 10,000 Wannables filled up the stadium with white light, the suave-looking guys started off the show with hit songs "Burn It Up", "Never" and "Energetic" followed by a series of solo stages from Minhyun, Jinyoung and Daniel respectively. 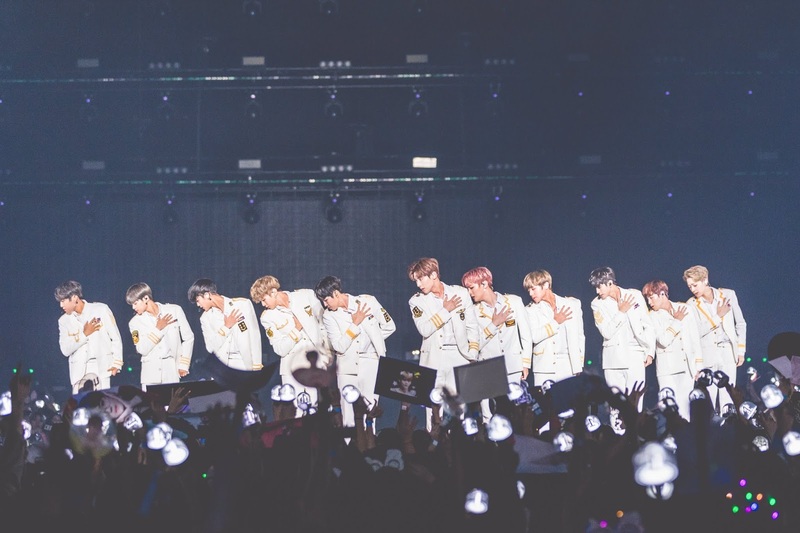 I bet fans were very mesmerized by the three of them during the solo stages, especially Daniel's, because fans were in awe looking at his toned body figure. The visual effects curated for each performance made the fans in awe. They definitely embellished and made the concert more enjoyable. Hands down to the production crew! Throughout the show, there were a few interesting VCR for fans to watch in regards to the performances. They were hilariously adorable. The show carried on with performances from sub-units No.1 (Park Ji Hoon, Bae Jin Young and Lai Kuan Lin), The Heal (Ong Seong Woo and Lee Dae Hwi), Lean On Me(Yoon Ji Sung, Ha Sung Woon and Hwang Minhyun) and lastly Triple Position(Kim Jae Hwan, Kang Daniel and Park Woo Jin). Each of the performances brought out their respective charisma and vibes. During the performance of The Heal, it felt like a sentimental play whereas sub-unit Kangaroo had a more catchy and up-tempo performance. 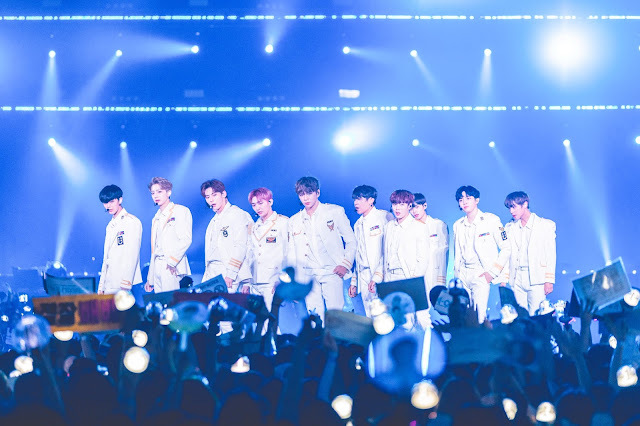 Throughout the concert, latest tracks such as "Boomerang", "Light" and "Gold" were shown perfectly by the boys as the fans sang along. A beautiful night filled with memories were spent as the boys complimented the fans for being so enthusiastic. The song ended off with "I Promise U" and a speech from each of the boys. All of them expressed their love for Singapore and Wannables. 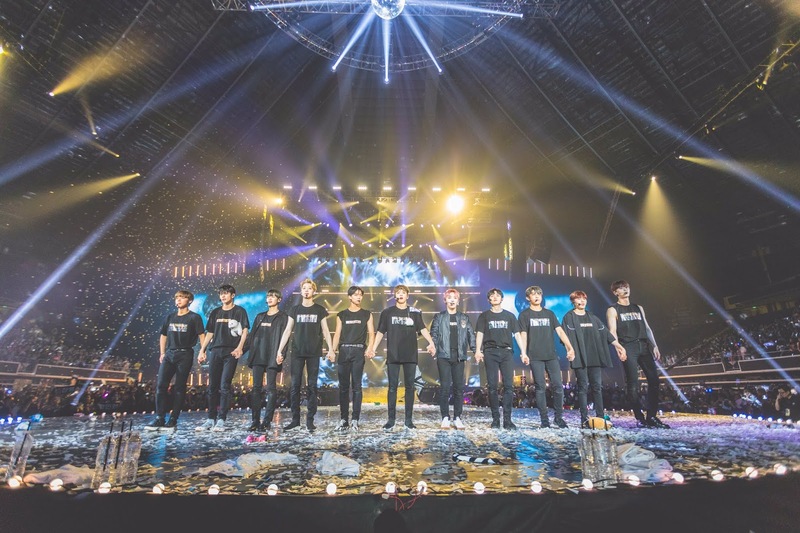 Team of bilingual guys, Guan Lin spoke in Chinese while Daniel spoke in English, very thoughtful of them. An interesting episode was revealed by the members during the eating of chili crab in Singapore. The members exposed Sung Woon was overly enticed by the chili crab to the extent of licking all of his fingers and he re-enacted the exact actions he did. We would like to extend our thankfulness to One Production for the invitation.